The International Red Cross have informed a Palestinian family from Khan Younis, in the southern part of the Gaza Strip, that their son is the young man who was shot and killed, Monday, by Israeli soldiers at the border fence, in southern Gaza. The slain Palestinian has been identified as Ramzi Najjar, a relative and a neighbor of the Palestinian medic, Razan Najjar, 22, who was shot and killed by Israeli forces while helping treat wounded protesters, on Friday June 1st, 2018. 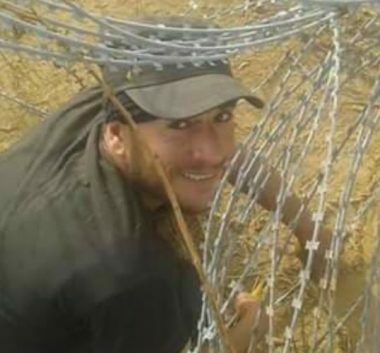 He was shot, on Monday afternoon, near the border fence, east of Khan Younis, in the southern part of the Gaza Strip, after cutting sections of the border fence. 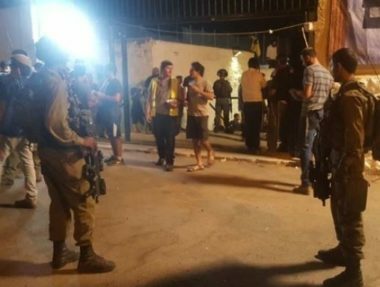 Other Palestinians, who were with Ramzi, managed to escape unharmed. His sister said that Ramzi was saddened and angered by the death of Razan, and that he was telling her about the great stuff Razan is doing, describing her as the angel of mercy, helping all the wounded, and her ongoing care, dedication, selfless giving and support to the injured Palestinians. She added that her brother and friends were always present at the Return Camp, helping the people, bringing them water, and doing whatever we could to assist. Dr. Ashraf al-Qedra, the spokesperson of the Health Ministry in Gaza, said in Twitter and Facebook posts that the soldiers have killed 123 Palestinians, including 13 children, and injured 13672 others, including hundreds of suffered serious wounds, mainly after being shot with expanding bullets, since March 30th. 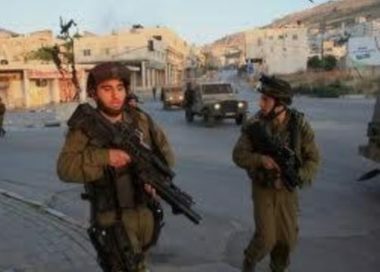 He denounced the Israeli army’s use of sniper fire to kill and main the protesters, and for using gas bombs of unknown components that cause serious complications, impacting the neurological and the respiratory systems. Dr. al-Qedra also said that, besides killing the two medics, the soldiers injured 223 others, and caused damage to 37 ambulances, in addition to targeting Palestinian journalists, killing two, identified as Yasser Mortaja and Ahmad Abu Hussein, in addition to wounding 144 others.